Need we say more about free stuff to do? OK, we will! In Arlington, it’s free to visit many memorials including the Marine Corps War Memorial (Iwo Jima), Arlington National Cemetery and the National 9/11 Pentagon Memorial. If you stay in Arlington, you are minutes away from the free attractions downtown and right here. Take in the monumental skyline with a walk along the Mount Vernon Trail in Arlington bordering the Potomac River, cross over the bridge and the capital awaits. Free Attractions in Washington D.C.
You could easily spend a week exploring the treasures of the Smithsonian Institution, such as the Air and Space Museum, American History Museum and Museum of Natural History. Start at the Smithsonian Castle, where the visitor is king, and get a grasp of the scope and scale of the Smithsonian from in-house experts. They can point you to the American Indian Museum and the African American Museum, nine other museums and galleries on the National Mall and six more plus the National Zoo in the capital area. See the largest collection of American art in the world featuring such luminaries as John Singleton Copley, Winslow Homer and George O’Keeffe at the American Art Museum. Many of the museums border the National Mall where you can access the Lincoln Memorial, U.S. Capitol, the Washington Monument, the World War II Memorial and other treasures which are all exciting places to stop by for free. Visiting them is sure to put the national anthem in your heart. You can hear that for free too. All year round, the U.S. Army Band presents free concerts that uplift spirits and inspire love of country. Summertime in Arlington means free outdoor concerts, movies and patriotic performances nearly every night of the week. 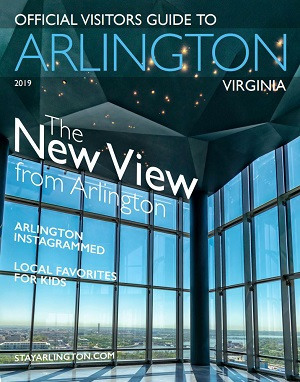 Plus, the Columbia Pike Blues Fest in June and Rosslyn Jazz Festival in September are Arlington’s signature live music events.